Rwanda is a beautiful and safe country visited by foreigners most often to see the majestic mountain gorillas. However, Rwanda has a dark past that must never be forgotten. Beginning in April of 1994, a violent, systematic killing was initiated by the Interahamwe. The nightmare lasted 100 days and more than one million people were slaughtered. The centre sheds light on the approximately 256,000 buried here in mass graves, and attempts to explain the events and ideologies that lead to the 100 days of horror that unfolded in Rwanda while the world watched silently. It includes vivid photographs, video testimony from survivors, exhibits on the children killed, and the machetes and other blunt objects used for killing. It also attempts to describe the aftermath of the genocide including the refugee crisis, the quest for justice and how Rwanda rebuilt structurally and emotionally to be the country it is today. 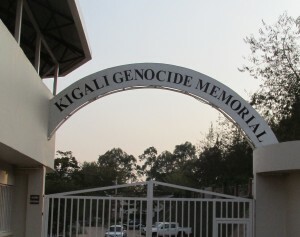 If spending even one day in Kigali, the Memorial Centre is not to be missed.